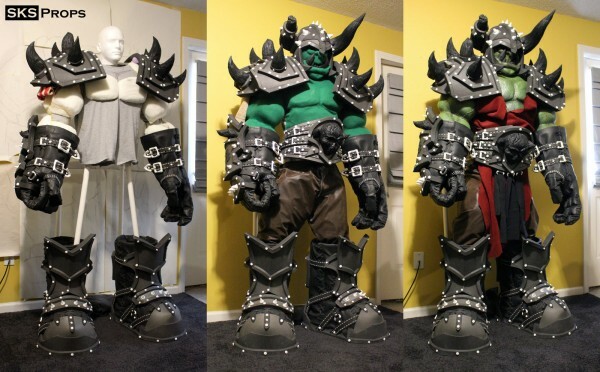 Finished Full Scale World of Warcraft Orc Cosplay « Adafruit Industries – Makers, hackers, artists, designers and engineers! Back at the beginning of March I highlighted a full scale, in progress World of Warcraft costume built by Steven K. Smith, also known as SKS Props. 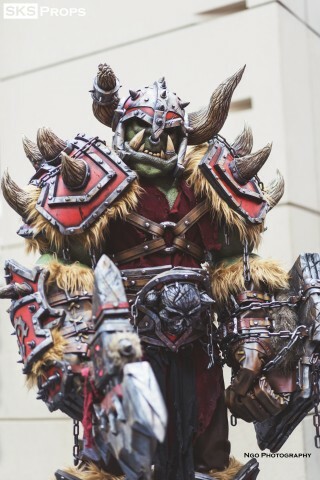 He constructed armor, clothing, all of it fit for an orc from the game. He’s been working on the project since December and finished it in time for C2E2 (it happened in mid-March). Smith shared pics of the completed costume, and if you thought it was impressive before, you’ll be blown away now. He used arm and leg extensions and created a custom muscle suit to get the head-to-toe orc look — it’s all the rage this spring. Steven created a hugely detailed build thread at The Replica Props Forum that’s a crash course in design and using foam. He also has pictures at Facebook.